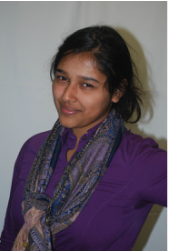 Sarwat is a scholar student at Susan E. Wagner High School. She is ranked 35 out of 636 seniors (top 6%). She has an excellent chance of getting into Barnard or NYU. Unfortunately, her family has lost their house due to hurricane Sandy that was on Seaview Avenue. Sarwat has epilepsy. Her father abandoned the family when she was 3 and fled to Pakistan. They have not been in contact with him for years and the home that was destroyed by Hurricane Sandy was in his name. As a result, the insurance company and bank will not release funds to the mother so Sarwat’s family is in touch with a legal aid to get this issue resolved. Meanwhile, Sarwat and her mother, 25-year-old brother and infirm grandmother are temporarily living with relatives in northern New Jersey some 30 plus miles from Sarwat’s school. They have not been able to find an affordable apartment in Staten Island or Brooklyn due to the fact that their income is low and thus can afford very little. Sarwat’s mother took over all the home payments and bills 16 years ago and was only paying a $500.00 mortgage a month, she is a home health aide who has not been able to work while she tries to follow up with FEMA, the bank and the insurance companies, although she is now trying to find a job at night. Furthermore, Sarwat’s mom has been driving her to and from school each day and they have gotten very close to having to sell their car in order to afford an apartment. Her brother is currently working as an IT intern and only makes $200.00 a week and has deferred his student loans. Thus between her brother and mothers income Sarwat’s family can only afford $400-$500 a month in rent. Sarwat is an amazing, talented, intelligent girl who has such a bright future ahead of her. Her high school guidance counselor describes her as “someone who is going somewhere in life”. She is dedicated to her academics and often stays after school for three hours or more a day to study. In addition she frequents Barnes and Nobles to study because it is impossible to study at home. Her guidance counselor plans on making sure that Sarwat gets entrance into a college where she can dorm and be separated from all of this. The most immediate need for Sarwat’s family is an affordable place to live. Additionally, they need a couch, laptop, computer monitor, computer desk and chair, bookcase, kitchen table and 4 chairs, coffee table, 3 dressers , kitchen utensils (pots/pans, forks, coffee pot,), 2 beds and sheet sets, microwave, tv and stand, dinnerware, towels, telephone, mirror, lamps, curtains. Sarwat stated that due to generous people the family has enough clothes and basic essentials, but they had lost her grandmothers second walker and some of her medicines.